Ogle almost-too-perfect views of Denver’s cityscape juxtaposed by glimpses of the sky-tickling Rocky Mountains at The Woods, the slick rooftop venue that crowns The Source’s lifestyle hotel and upscale food hall. 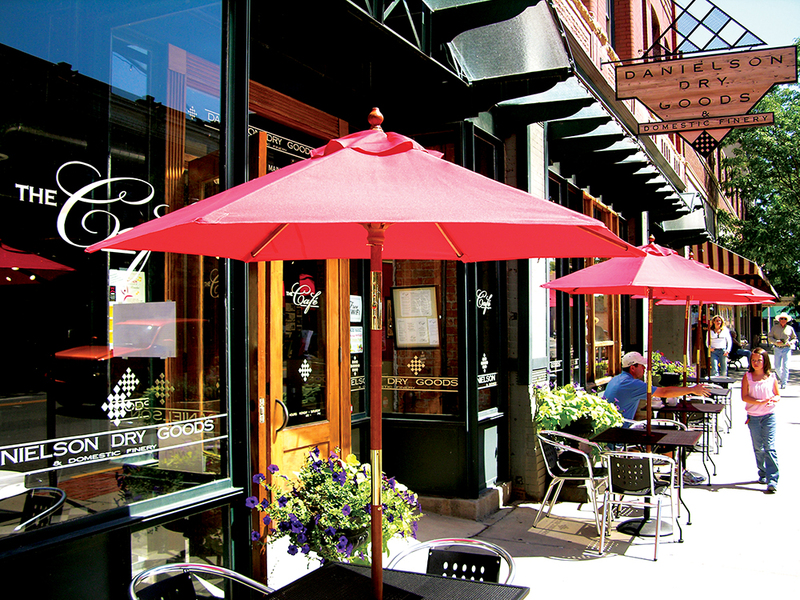 Before the Northern Colorado Feeders Supply Building was transformed into Ginger and Baker — which houses a bakery, farm-to-table dining options and rooftop hangout — you had to have wings to enjoy panoramas of Fort Collins’ revitalized River District from the rooftop. 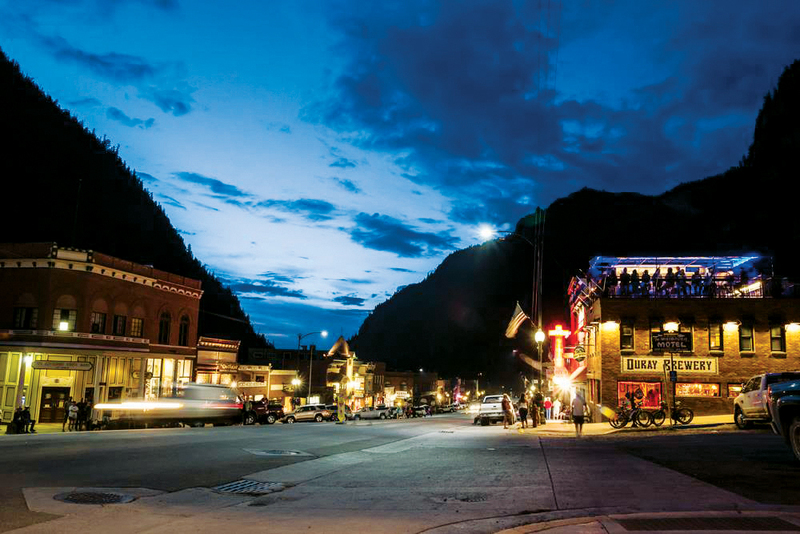 Perched atop a building in Leadville’s National Historic Landmark District, Treeline Kitchen has dreamy glimpses of the snow-flecked Sawatch Range and modern American fare. Snag a seat after dark to dine under a tapestry of stars next to a roaring firepit. 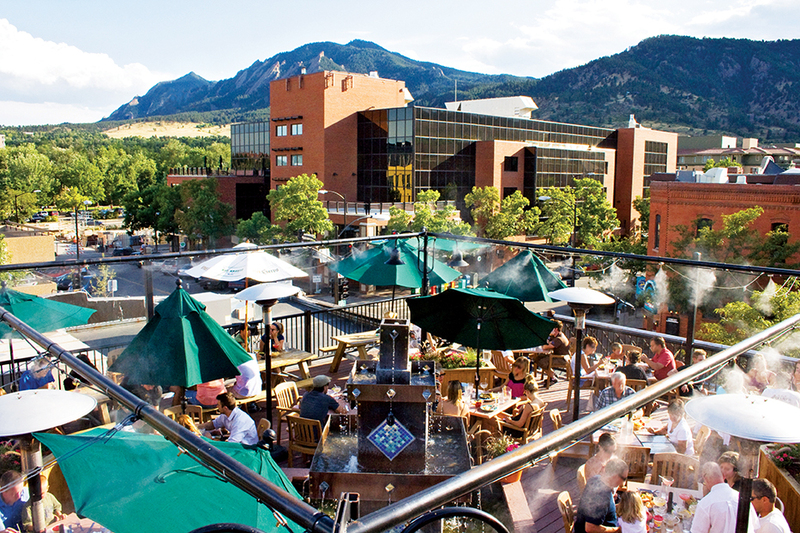 Wraparound vistas of the surrounding mountains — particularly breathtaking at sunset — and Frisco’s pretty Main Street make the patio at The Uptown on Main an incredible stop after a day of hiking or mountain biking at one of the five nearby ski resorts.